Musicgate composes and produces high quality music intended for the world market. We specialize in jazz and popular music. Partnering with BMI - Musicgate is able to brand artists by producing, promoting, publishing and distributing music independently. Musicgate believes that to truly appreciate good music, one must learn the subtle details contained in great music. We foster aspiring individuals into talented artists. 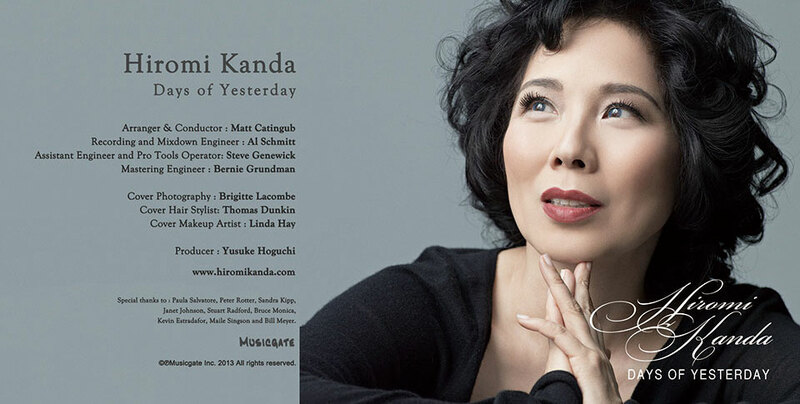 Elegant, charismatic vocalist Hiromi Kanda pays tribute to the timeless American classics in Days of Yesterday, her sophomore album. Nagasaki-born Kanda says, “I have always loved America’s great standards and the old movie musicals. I feel that the music of this genre in America—the classics written by Cole Porter, George Gershwin and Gus Kahn— may be the most musical and romantic ever written. 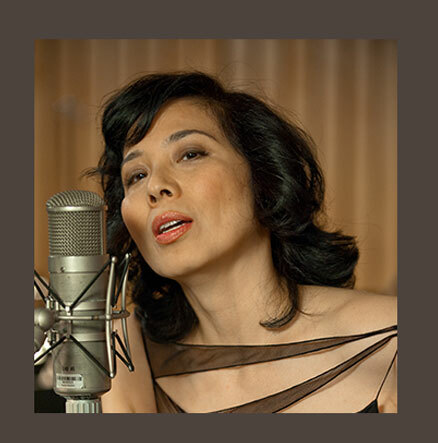 Also, the big band sound makes it so big!” In order to achieve that “bigness,” Kanda came to Hollywood, where she recorded Days of Yesterday at the legendary Capitol Studios with a full 50-piece orchestra. Working with Hiromi on the album were the multiple Grammy-winning producer/engineer Al Schmitt and arranger Matt Catingub, a multi-instrumentalist, conductor and composer. The album also spotlights Joe Sample on piano. © 2013 Musicgate,Inc All Rights Reserved.